Psalm 146 is the first psalm of this concluding set. It is full of praise for God’s care and specifies how God “keeps faith forever,” (v. 6), to bless his people. This psalm connects in many ways to the first book of the Psalter, both linguistically and thematically. The word “blessed” in Psalm 146:5 is the same word found in Psalms 1:1; 2:12; 40:4; and 41:1-2. Psalm 146:8 refers to the righteous, as does Psalm 1:5. 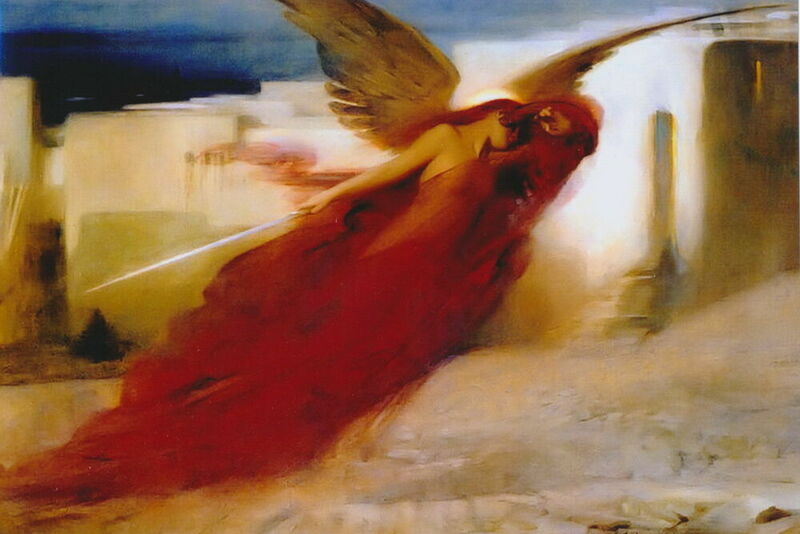 The phrase, “way of the wicked,” connects Psalm 146:9 to Psalm 1:6. “Salvation,” mentioned in Psalm 146:3, is found in Psalm 3:2, 8. The theme of not trusting princes, (Psalm 146:3), resonates with Psalm 2:2. The Lord who reigns as King, (Psalm 146:10), echoes Psalm 2:6. Psalm 146 indeed praises God for his care, as does Book One of the Psalter. At the center of Psalm 146 is the declaration that God “keeps faith forever,” (v. 6). Bracketing this declaration of the faithful character of God are statements about the works of God as Creator, (v. 6), and as provider for the needy, (v. 7). These sections in turn are bracketed by statements that the blessed man is the one who has God as his help and hope, (v. 5), and that this God is the helper who lifts up those who are bowed down and judges the wicked, (vv. 7-9). Moving further from the center, we find corresponding sections that warn against trusting the princes of this world, (vv. 3-4), and that remind us that God is the real ruler forever, (v. 10). The psalm begins, (vv. 1-2), and ends, (v. 10), with praise to God. God is the object of praise because he cares for his people. The princes of this world cannot really care for their subjects. Most people look to the powers of this world as the source of justice, food, liberty, and encouragement. But princes cannot give salvation; they will not live forever; their plans inevitably fail. By contrast, the Lord reigns as king through all generations. He lives forever; his plans always succeed; he gives his people salvation. The specifics of the Lord’s care in this psalm are very remarkable: “The Lord sets the prisoners free; the Lord opens the eyes of the blind. The Lord lifts up those who are bowed down; the Lord loves the righteous. The Lord watches over the sojourners; he upholds the widow and the fatherless, but the way of the wicked he brings to ruin,” (vv. 7c-9). Isaiah uses similar language to describe the blessings that the Lord would bring to his people when the Lord comes to them, (Isaiah 35:4-6). Isaiah, later in his prophecy, sees such blessings as being brought by the Messiah, (Isaiah 66:1-2). Isaiah’s prophecy of future messianic blessings is quoted by Jesus at the beginning of his public ministry, (Luke 4:17-19). He then declared, “Today this scripture has been fulfilled in your hearing,” (v. 21). Luke shows throughout his gospel that Jesus did indeed fulfill this prophecy by his care and kindness to the people of Israel. Psalm 146 solemnly warns us, “Put not your trust in princes, in a son of man, in whom there is no salvation,” (v. 3). Ironically, Jesus regularly referred to himself as the Son of Man, yet he was the One to bring us salvation. He is the saving Son of Man because he is also the Son of God, (see the vision of Jesus as Son of Man and Son of God in Revelation 1:12-18). Jesus the Messiah cares for his people, delivered them, and saved them. 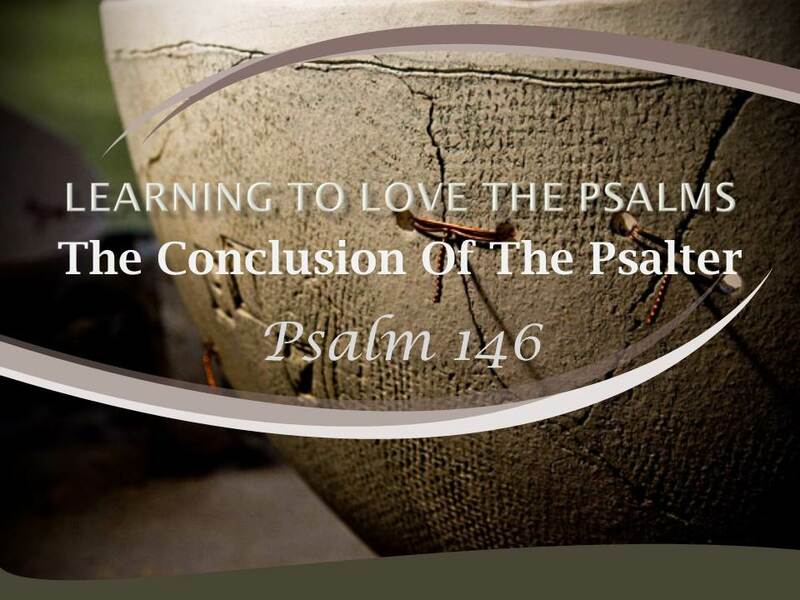 Psalm 146 is a wonderful psalm of praise that functions as a most fitting conclusion to Book One of the Psalter. It tenderly celebrates God’s care for his people. How does Psalm 146 connect to the first book of the Psalter, both linguistically and thematically? What is the significance of the declaration at the center of this psalm that God “keeps faith forever”? Why is God the object of praise? What specifics of the Lord’s care in this psalm are remarkable? What does Psalm 146 solemnly warn against? Does this warning have any application to today’s culture?